The St. Maarten booth at the Emigration Fair in Houten over the weekend with Minister Plenipotentiary Jorien Wuite and Deputy Minister Plenipotentiary Michael Somersall. 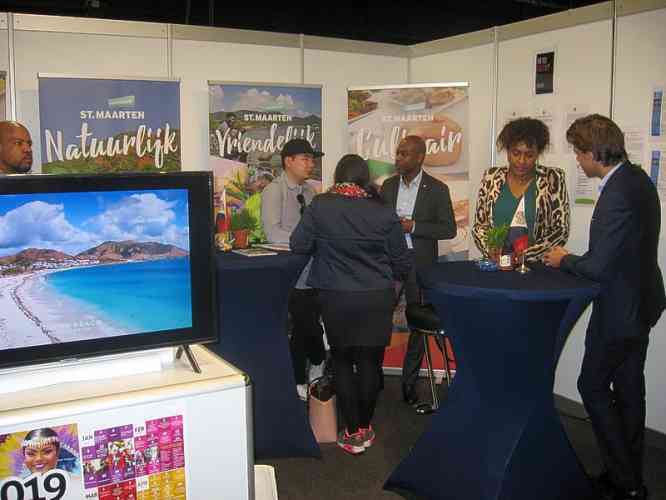 HOUTEN–In St. Maarten’s search to fill urgent vacancies in the educational and medical care sector, the country attended the Emigration Fair in Houten on Saturday and Sunday for the first time. St. Maarten Minister Plenipotentiary Jorien Wuite, Deputy Minister Plenipotentiary Michael Somersall, and members of the Minister Plenipotentiary’s Cabinet manned the well-attended booth at the annual international fair. The Dutch Caribbean traditionally uses this fair to recruit Dutch personnel to fill vacancies on the islands. Emigration Fair management had asked St. Maarten to be present and had made some space available so St. Maarten could still join after the closure of the registration. There are quite some vacancies in St. Maarten, especially at the schools and at St. Maarten Medical Center (SMMC), as well as jobs to work as a legal expert for government or at the newly established National Recovery Bureau. Visitors showed real interest in moving to St. Maarten, mostly for two reasons: prospective candidates see the diversity of the St. Maarten population and the proximity of other islands which are interesting vacation destinations as advantages. Somersall said the visitors were surprised by the results of the recovery programme. “That inspires people to contribute to the reconstruction. People want to help,” he said. Wuite said she was very pleased with St. Maarten’s first participation at the Emigration Fair. “We are actively recruiting personnel. 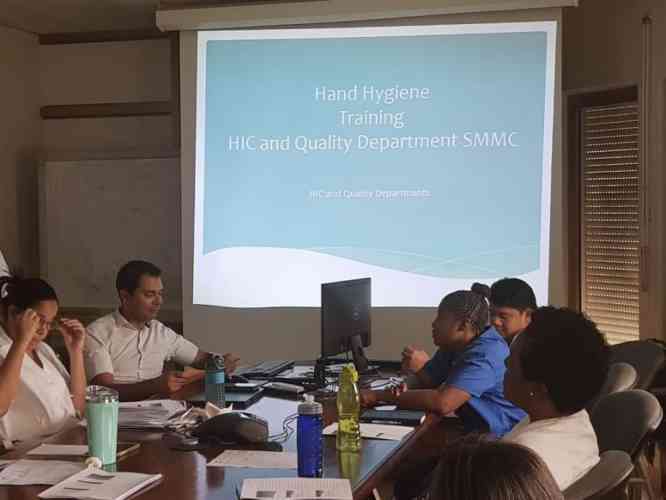 St. Maarten has a large shortage of teaching personnel and there are vacancies at the SMMC and in the team of the National Recovery Bureau,” she said. Emigrating to the Dutch Caribbean is a dream of many people in the Netherlands who are looking for a new challenge and who want to live in a warmer climate. The annual Emigration Fair clearly serves a goal. “People have very specific questions,” said Sharnice Trinidad of the Cabinet of the Curaçao Minister Plenipotentiary.